McFarland & Company, 9781476669830, 196pp. 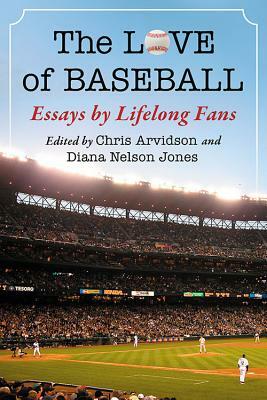 ﻿ Written by and for baseball fans (or those trying to live with one), this collection of essays joins a perennial conversation all fans have--"Why do we love baseball?" Thirty contributors share personal narratives of how they found an abiding passion for the sport and how their relationship to it changed over the years. Tracing the thematic arc of a typical season, the essays begin with stories of spring training optimism, followed by the guts and grind of the regular season, and ending with the glory (or heartbreak) of the playoffs. Chris Arvidson is a writer who has worked in nonprofit communications and politics. She lives in West Jefferson, North Carolina. Diana Nelson Jones lives in Pittsburgh, where she is a reporter and columnist for the Pittsburgh Post-Gazette.